In this Vampyr Crafting Guide, we will guide you on the Crafting System of Vampyr and how you can use it. Vampyr offers a decent Crafting System that is not all complicated and yet allows you to craft different useful items such as weapons, medicines, and cures. You can also improve your weapons using Crafting Materials. We have curated this Vampyr Crafting Guide for you in which we have detailed how you can find different Crafting Materials and Shillings, crafting/upgrading weapons in the game, and finding good/common handle parts. We have also detailed how you can craft medicines and unlock more medicines in the game. Crafting is an important mechanic of Vampyr and you will be required to do a lot of crafting in the game to clear certain parts of the Main Story. Crafting certain items will also help you clear it much easier. Below you will find all there is to know about crafting in the game. The two most important things that you will be required to collect in Vampyr are Crafting Materials and Shillings. You will need Crafting Materials to craft different useful items, weapons and upgrading weapons. Shillings are used for different market purchases since it is the main in-game currency. You can find Shillings and Crafting Materials scattered around the whole world of Vampyr. You can find them in crates, shelves, and other containers. Enemies killed will also drop Shillings and Crafting Materials. Completing Investigations is also an effective way of getting Shillings. Always sell your useless and spare items for some extra Shillings. The following are some tips and trick that allow you to obtain and retain shilling and crafting material and using them to craft equipment and medicine. You will find a lot of shillings scattered all around London, sometimes scattered on streets near dead enemies and sometimes in cabinets and trunks. So, be sure to collect them wherever you see and do not hesitate in thinking of them as petty change. They can amount to a lot as you will find them around every corner. Never turn down an investigation from the citizens. If you are able to complete the investigation, the citizens will show their gratitude in form of some reward. Most of the times, they give you tips that help you with the games the main storyline, and sometimes they even lead you to find other crafting material. You might be thinking where all this crafting material that you scavenge for go and what happens to all the crafting material that you do not use in crafting medicine or otherwise. The answer is that you can sell all these useless items to traders. They won’t be paying a lot but your scavenging won’t go to waste. Vampyr’s crafting system is pretty basic. Collect the materials and you can craft the desired weapon easily. You can craft different weapons and upgrade them in Vampyr. After having collected all the material necessary for upgrades, you can proceed to craft or upgrade at a workbench. Workbenches are a workshop for Jonathan’s use at all the hideouts. The hideouts are location scattered across the Vampyr map in all the downtrodden locations. They will be marked by the door with an awful lot of warning to stay away. Here, you will be able to craft weapons, medicine, and other useful material. You can also keep you inventory hidden in these locations. The easiest way to improve your weapons is by unlocking new skills and enhancing damage levels. This allows you to deal more damage with specific weapons. New skills allow you to deal damage in a variety of ways, which result in much greater damage dealt with the enemy. You can craft different types of drugs that increase your damage dealing stat for a certain time or heal yourself during combat. The crafting mechanism in the game is very simple. You just walk up to the workbench and interact with it using the X-button. This will take you to the crafting menu which has several options of functions you can perform on the workbench. You can craft medicine and serum in the crafting menu. You will see some tabs at the top which mark medicine, weapon and recycle. You can scroll between these options by using the R1 and the L1 keys. You will be presented a list of items and medicines you can craft and recycle, which you can do provided you have all the material required for performing the function. It will also mark all the missing item required for the crafting/upgrade. There also is a section named Analyze. This allows you to any material you have with you to be analyzed for its components and ingredients. For upgrading weapons, you will Good or Common Handle Parts depending on the type of weapon and upgrade. High-level upgrades will require rare materials, which can only be found in specific locations around the world in Vampyr. In Vampyr, you will need Good and Common Handle Parts to upgrade your primary and off-hand melee weapons. They are one of the most important Crafting Materials that you must collect and store a decent amount of. Similar to all other important and rare materials, good and common handle parts are not easy to find. However, here we some tips for you which will help you in finding them easily. The easiest way of obtaining these materials is to check with vendors. There are certain vendors in the game that sell different crafting parts for your weapons. Common Handle Parts are much easier to purchase as compared to Good Handle Parts. You can purchase them from Barret Lewis in Whitechapel, Calhoun Russell in West End and Milton Hooks in Pembroke Hospital. Barret and Calhoun also have Good Handle Parts in stock but in very small numbers. We recommend that you buy them from these vendors because they are extremely rare in the world and you will need them to upgrade your weapons. If you need more than what the vendor has in stock, go to bed to advance time and check again. 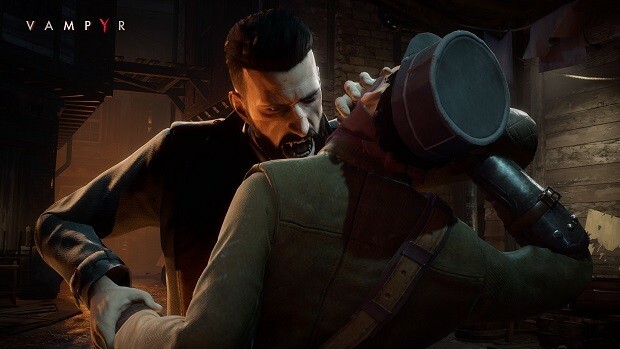 The other way of obtaining Good and Common Handle Parts are while exploring the world of Vampyr. They could be anywhere. Always look around for crates, trash cans, or corpses. You never know when you find these rare materials. Even safe houses have plenty of explorable items that may give you good Crafting Materials. Any enemies you kill also drop Crafting Materials. Although it depends on what type of enemy is killed. When you kill melee-fighting enemies, they will have a higher chance of giving them Good or Common Handle Parts. Ranged enemies seldom drop them. You can also explore the houses of NPCs that you visit. They will not attack you for doing so. As you will spending quite a lot of time checking sick people and giving them cures, it is vital that you must know how to craft them and how to unlock different medicines in the game. You can talk with people to know about them that allows you to know what kind of sickness has befallen them. You cannot cure anyone without talking with them, as you will not know what illness are they suffering from. Even your Vampiric Senses will not be able to help you much in such a scenario. When you have interacted with a person, you will get to know more about them allowing you to diagnose them for a disease. Once you know the disease of the person, you can give them a medicine, which will cure them. To craft a medicine, all you need to do is head to a hideout and access a workbench. You cannot craft medicines anywhere else. Once you are on the crafting screen and you have all the required materials for a medicine, you can craft that medicine by selecting it. Medicines are one of things in Vampyr. You will need them to cure different NPCs throughout the game. London is infected with Spanish Flu and NPCs will come to you for a cure. If you do not know the correct recipes for them, you will not be able to cure people in the town and the city will fall into chaos. To prevent this, you must find the recipes for all different cures in the game and craft them in order to give them to NPCs. 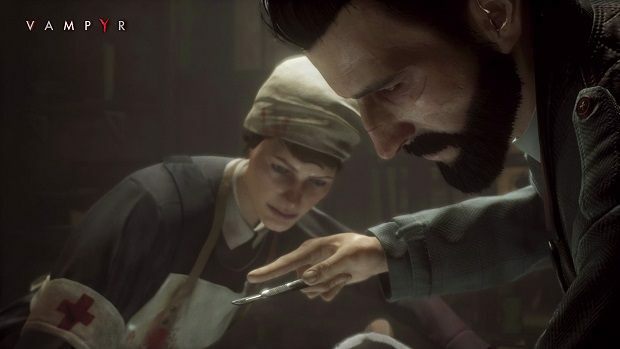 Keeping the civilians healthy is very important in Vampyr because of you lose most of the population; you will not have many people to drink blood from. You will also lose investigations and many strange creatures will start roaming the streets. There are nine different medicines in Vampyr, which are divided into three different tiers. You will need a specific medicine for curing different NPCs. The NPC list of each area shows how many civilians are sick and need treatment. You can give them medicines on the same screen after crafting them. Each time you sleep, medicated civilians will recover while the condition of untreated NPCs will get worse. The medicines are divided into three different tiers with the first tier already unlocked for you right from the start of the game. For the second two tiers, you must find recipe books. It is very important that you find them during the story otherwise you will miss them and many NPCs will not be able to recover without those medicines. These medicines are unlocked right from the start of the game when you arrive at the hospital. These include medicines required for the treatment of Fatigue, Anemia, and Sepsis. The recipe book for Tier 2 medicines can be found during the second chapter ‘Night Shift’. When Nurse Crane sends you into the old morgue basement for fetching supplies, you will come across a Skal boss. Tier 3 medicines can also be unlocked during the second chapter. In the ‘Holy Crusade’, when Father Tobias Whitaker sends you to Stonebridge Cemetery, you can find the tier 3 medicine recipe book in a crater located on the right side just outside the main gate. This concludes our Vampyr Crafting Guide. If you want to add anything to this guide, feel free to use the comments section below!